Results are far from antithetical! 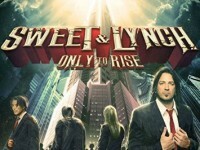 In some ways Sweet and Lynch’s “Only to Rise” may seem antithetical. Michael Sweet (Stryper/solo artist) is a known Christian and George Lynch (Dokken/ Lynch Mob) is a known Atheist/Freethinker. Sweet who writes in his autobiography, “Honestly”of his struggles to be recognized as a guitar player; yet he records an album where Lynch is the featured guitar player. The album features Sweet and Lynch in the title but Greg Lomenzo of White Lion and Brian Tichy of Whitesnake also play on the album. Finally, for an artist who also claims to work hard for Stryper to its spiritual roots, Sweet pens an album with secular lyrics. However the result are far from antithetical. 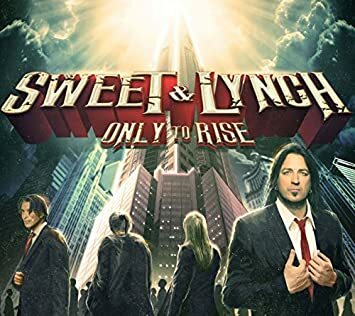 Sweet’s delivers the goods vocally and Lynch delivers on the guitar with Lomenzo and Tichy completing the sound of a solid 80ish melody rocky album with modern twists. Some songs like “The Wish” and “Recover” are reminiscent of what you would find on a Stryper album or on a Sweet solo album, they don’t come off as Stryper clones.Other songs such as “Dying Rose” (a popular hit among reviewers) and “Me” are clearly unique. While Sweet steers lyrically away from overtly Christian lyrics, he doesn’t do a 180 either. Some may raise eyebrows at the lyric like “What I give to hold you, to smell you on my skin,” in the song “The Wish.” While some may want to take the lyric into the bedroom, I was reminded how the scent of my wife’s perfume could be transferred to me through a more innocent embrace. In the context of the song, I think my interpretation is more correct in what Sweet intended. If you are looking for a good 80ish rocking album that won’t offend, Only to Rise is an album for you….